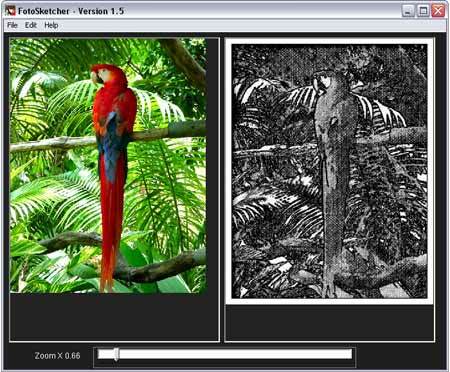 FotoSketcher is a Free photo editing tool that can be used to manipulate pictures to make them appear that they have been hand drawn or sketched by an artist. It can convert your photo’s into either black and white or color drawing or painting. FotoSketcher is easy to use and image conversions only take seconds to perform. This application requires roughly 2MB for complete stand alone portable software installation.